1. Out cross pedigree to the majority of today's pedigrees. 2. Elite calving ease sire that ranks in the top 10% of the breed for both the new HerdBuild and GridMaster indexes. 3. 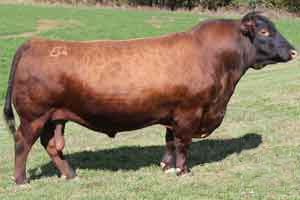 His progeny are moderate framed, correct, and have plenty of body.